ECCP managed projects are a collaborative enterprise, frequently involving research or design, that is carefully planned to achieve a particular aim. We partner with various companies and/or organizations to cooperatively achieve set goals. Project I4J focuses on the pilot development of integrity mechanisms and models of transparent and effective small business and investment registration and promotion procedures at selected local government units (LGUs), in cooperation with civil society and decision makers at these LGUs. Specifically, the project aims to include LGUs as key players for clean administrative procedures into the Integrity Initiative set up by the European Chamber of Commerce of the Philippines (ECCP) and the Makati Business Club. It recognizes the role of LGUs as a sustainable network for self-obligation and monitoring of transparent and uncorrupt structures and procedures. It also aims to create models of transparent, effective small business and investment registration and promotion procedures and disseminate them. 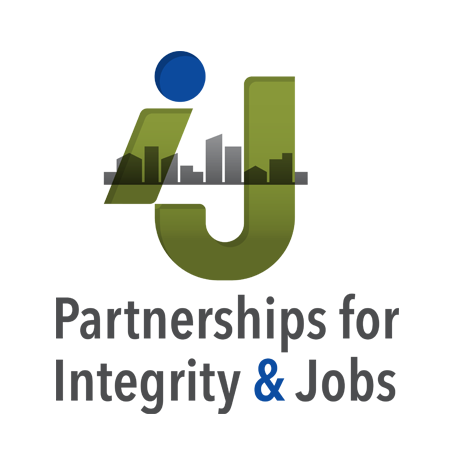 Project I4J targets local government leaders/officials, civil society, small business leaders and potential investors as beneficiaries. Three cities, three municipalities, and three provinces across Luzon, Visayas and Mindanao will be selected as pilot project locations. You can also download the i4J Project Flyer here in PDF format. Visit www.euprojecti4j.com for more information. This project is co-funded by the European Union and the German Federal Ministry for Economic Cooperation and Development through Konrad-Adenauer-Stiftung. 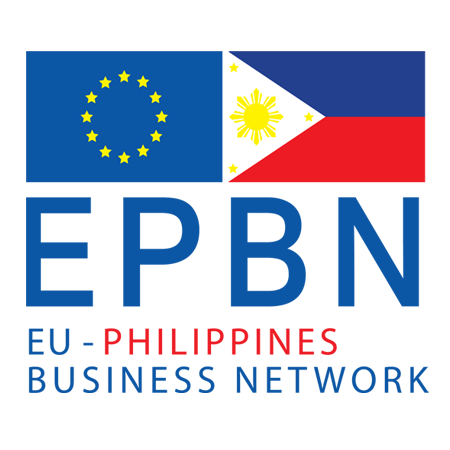 A project implemented by the consortium of European Chambers of Commerce based in the country, the EU-Philippines Business Network (EPBN) aims to encourage thriving the trade and investment relationship between EU and the Philippines. This ECCP and EU co-funded venture provides integrated business support system for European enterprises that are interested in gaining access to high-potential business opportunities not only in the country but in the ASEAN region as well. Bringing together the expertise of partner Chambers, EPBN offers a comprehensive range of valuable services which include market analysis, information on successful market entry, specialized business development strategy, updates on important economic developments and high-level coordination with business sectors and government agencies. These services are made available not only to help individual businesses but also the EU industry associations which want to support their members, the EU Delegation to the Philippines, and the EU Member States' local and regional representations. For more information, visit our website epbn.ph or email us at info@epbn.ph. INTEGRITY INITIATIVE is a private-sector led effort to help the Philippines escape from the vicious cycle of corruption that not only has exacerbated poverty but also prevented the operation of a level playing field for business.Spearheaded by the Makati Business Club and the European Chamber of Commerce of the Philippines in late 2009, the initiative calls for a collective action among ethical foreign and local business enterprises that are craving for fair market conditions. As envisioned, the initiative will benefit all market participants willing to undertake a business culture changing process that will revolutionize how companies do business in the Philippines. It is a process that will initiate a change from within and a change that will radiate outward on a collective basis, leading to a new ethical business norm. Ultimately, the initiative aims to earn for the country more foreign investments, more employment opportunities, and less poverty, resulting from international recognition that the Philippines is serious in its fight against corruption. Through the Integrity Initiative, the Philippines will become a benchmark in the transformation process from being highly corrupt to doing business ethically. For more details, please visit www.integrityinitiative.com or contact info@integrityinitiative.com. The European Chamber of Commerce of the Philippines (ECCP) and its founding partners believe that the Country's competitiveness is strongly linked to the unwavering pursuit of energy efficiency and sustainability.To build on this, the ECCP along with its founding partners launched the Energy Smart program in July 2010. The program is a private sector led initiative that aims to encourage like-minded organizations to identify, implement and share best practice energy management programs that encourage energy efficiency and sustainability. It is supported by leading companies in the energy sector, international organizations such as the International Finance Corporation and other key players in the field of energy management. Who Can Participate in the Energy Smart Program? What’s In It for Technology Providers? For more information, please visit www.energysmart.com.ph or contact energysmart@eccp.com. SMART Cebu is a project co funded by the European Commission’s Switch Asia Programme and the German Federal Ministry of Economic Cooperation (BMZ). The project is implemented by a consortium of European and Philippine organizations in Cebu that is aimed at increasing the competitiveness of Small and Medium sized Enterprises (SMEs) engaged in the home and lifestyle sectors in Cebu by promoting clean production, development of eco-friendly products and entering the green markets in Europe and Asia. The overall aim of the project is to foster and support an increased competitiveness of SMEs in three sectors (furniture and furnishing; fashion accessories; gift, toys and house ware) and to contribute to a greener environment on Cebu. The efforts on the production side will be complemented by a marketing and export strategy in order to stimulate the demand for these "green" products from cebu. increasing the competitiveness of SMEs in the home and lifestyle industries and thus to develop a cleaner environment on Cebu. The specific objective is related to the production of eco-friendly home and lifestyle products from Cebu: The products will be cleaner and the marketing will be enhanced and promoted.